Saturday is here and believe it or not, as you read this, I will be flying up in the air to another country again. 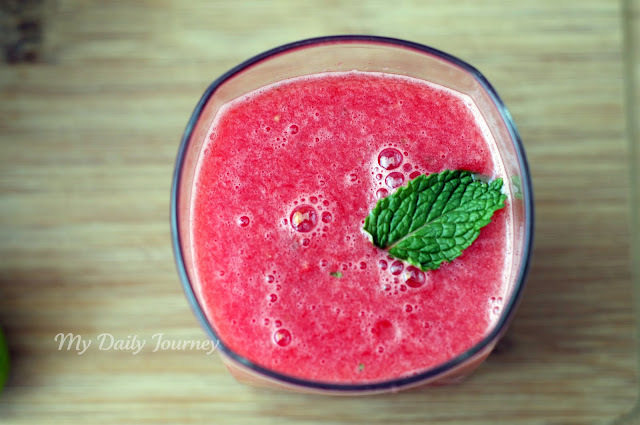 I did not want to leave without sharing with you the recipe for an "agua fresca", it is very tasty, easy to make and beautiful to see. 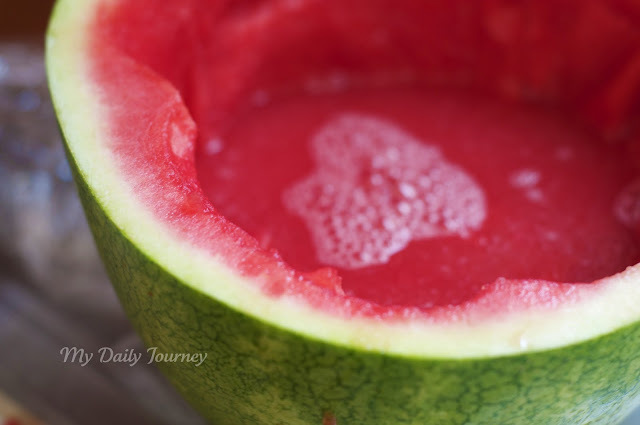 So, I am pretty sure you will like it so much that you will be making it many times this summer. 1/2 of a large watermelon. 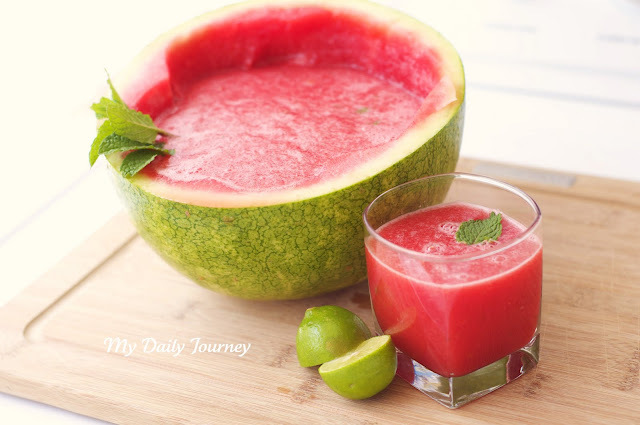 Take the watermelon pulp (get rid of the seeds) and put it in the blender little by little, with the mint, the lime juice and sugar. You might need to add a little bit of water lo loosen it. 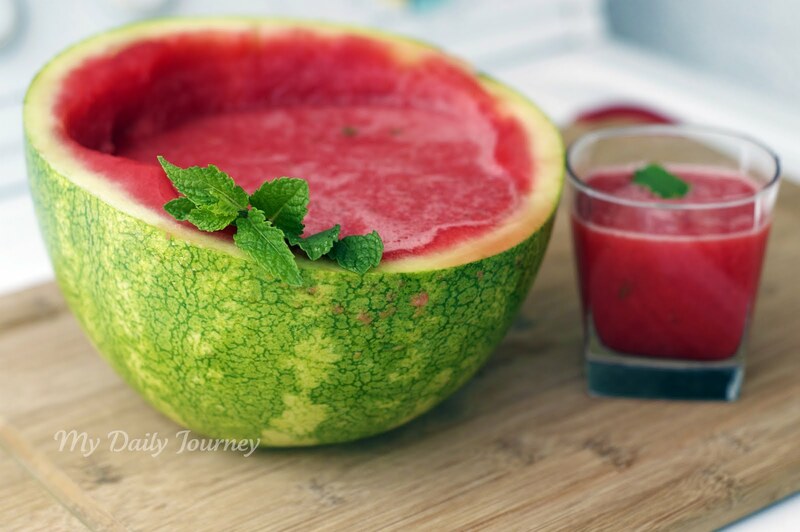 Serve in the hollow watermelon and decorate with some fresh mint leaves. Crush ice and put some on each glass, serve immediately; and don't forget to make it pretty with an leaf of mint. Hope you have a most blessed Saturday, dear friends! I must say that my daughter helped me to take all these wonderful pictures!